This time I would like to represent a fountain pen which is out of my line. Montblanc Meisterstück 146. This pen doesn’t belong to me, one of Mr. Turgay’s. But I kept this pen for a long time and I used and photographed it. We can say that Meisterstück line is the flagship of Montblanc pens. First produced in 1924, these pens are still in production. Even though there are different styles and designs in former Meisterstück’s, we have a classic monotone design afterwards. Body is made from a material which is called as “precious resin” by Montblanc. The size can satisfy who likes big pens. It is around 14,5 cm cap closed and a bit over 16 cm cap posted. Montblanc 146 has mono tone nibs before 70’s but after that time, they start producing it with duo tone nibs as seen in the photo. It is a big, flashy nib made of 14k gold. It has a screw-type cap. So it is cool if you take it out from your pocket and unscrew it slowly before signing something. With the piston filler mechanism, it is a good accessory for many gentlemen. This Montblanc I tried had a fine nib and since it is a bit big for me, my writing turned into something I didn’t like at all. The biggest handicap of my handwriting is, it changes with every pen I use. But other than that, this pen collects the stars with writing quality and wetness on the nib. 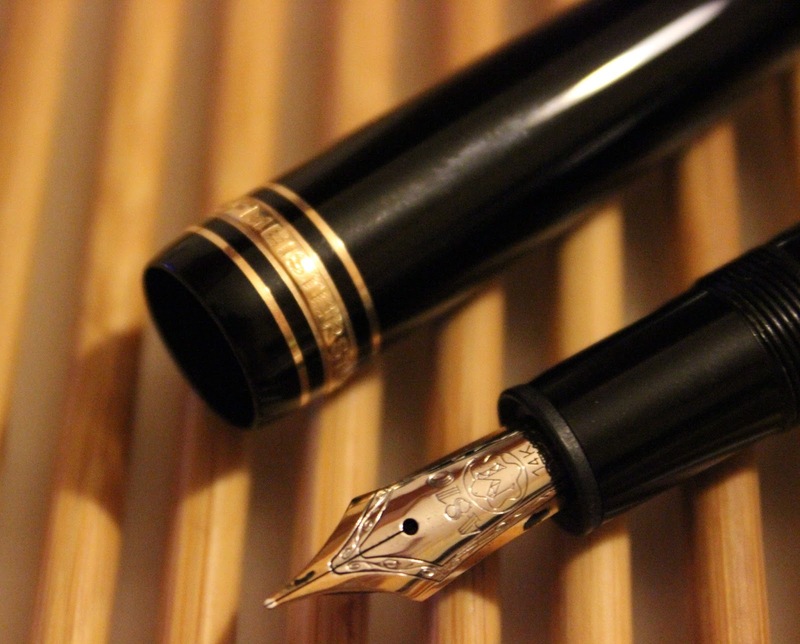 What do you think about this fountain pen which is a holy grail for most of fountain penthusiasts?